Yes, you can get your salespeople to commit to a written personal goal (here's how). Study after study suggests that less than 20% of all salespeople set written goals of any kind. Our experience is that the income of this elite minority of salespeople who have written goals is predictably and consistently greater than that of the more than 80 percent who don’t — combined! Why do the income figures break down the way they do? It’s because identifying a meaningful goal that inspires action is difficult for many salespeople. Such goals demand support, unconditional commitment and a strategic mindset. To shift a salesperson from one group to the other requires a coach who is willing to take the time to learn what is really going on in the salesperson’s world, as well as help the salesperson figure out his or her priorities. Here’s an exercise you can use to begin that process. During a one-on-one meeting with your salesperson — a period where you know the two of you will not be interrupted for at least an hour — give eight sheets of paper to the salesperson you’re working with. Each sheet should have a different headline, as set out below, but should otherwise be blank. Ask the salesperson to create a list of brief bullet items that reflect what he or she wants to accomplish in that area over the coming 90 days. Encourage the salesperson to spend some time with you on this “brainstorming” phase, identifying everything that’s truly important in each area. The more open the discussion is that the salesperson is willing to have with you about each bullet item, the better. Once the brainstorming step is complete, ask the salesperson to revise the eight lists of goals so that all the goals on each sheet are listed in order of importance. Once the salesperson is finished prioritizing goals in each of the eight areas, ask him or her to consider the goals closely. · How committed am I to achieving this goal? · What will achieving this goal do for me as a person? · What behaviors will I have to change to accomplish this goal? · Who would be an appropriate accountability partner for me on this goal? · What is the next step I should take to achieve this goal? · How will I celebrate when I achieve this goal? If the salesperson is just getting started with written goals, you may want to suggest that the salesperson focuses on just one modest “stretch” goal in each of the eight areas. Encourage the salesperson to pick something that will force him or her to stretch beyond the current comfort zone. One written goal should stand out from all the rest as the salesperson’s primary personal and professional goal — the goal whose achievement has the most meaning on a gut level to the salesperson. Identify that goal. Make sure the salesperson owns it and is stating it in his or her own words. (For instance: “I want to have $30,000 in the bank by December 31st, so my fiancée and I can make a down payment on a house.”) Commit to working with the salesperson on setting up a plan for the attainment of this one major goal. Schedule appropriate check-in meetings -- say exactly what you’ll do to support the salesperson’s efforts — and then keep your word. Before you conclude this initial session, warn the salesperson that the next 21 days are crucial. At about the 14-day mark, he or she may reach a crossroads, may start considering all kinds of persuasive-sounding reasons to stop pursuing the goal, and may even wonder whether what has been selected is “too difficult.” Let the salesperson know that it is normal to start hearing internal skeptical voices suggesting that it would be better to pick something else (or nothing at all) to strive for – but that you know he or she will choose not to listen to those voices. The salespeople who make it past that negative self-talk are the ones who move into the elite top 20% of all performers, the ones who assume personal control of their future. This is why it is absolutely essential that you meet with the salesperson as often as you can during the critical 21-day period. Listen during those meetings without judgment and do everything you possibly can to support this person’s transition into the top tier of sales performers: the ones who set and strive to attain written goals that matter on a personal level. 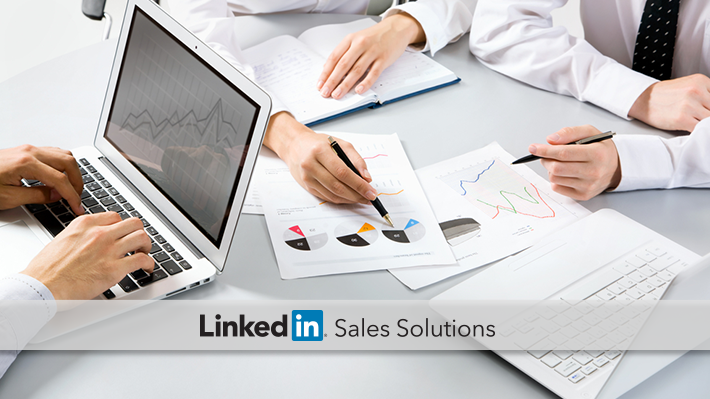 When you support your salespeople and their goals, you better yourself as a Sales Manager. If you want to learn a few more tips to grow as a leader, check out our eBook "The Sales Leader's Checklist".